Accidents happen! 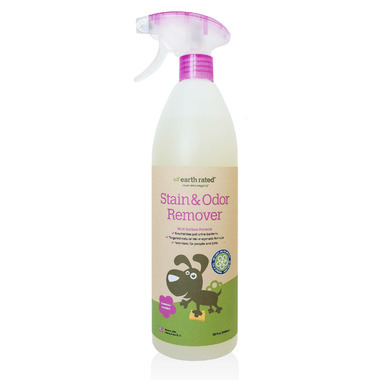 That's why Earth Rated decided to formulate a safe, non-toxic yet powerful stain and odour remover designed to eliminate the most stubborn messes caused by cats and dogs. 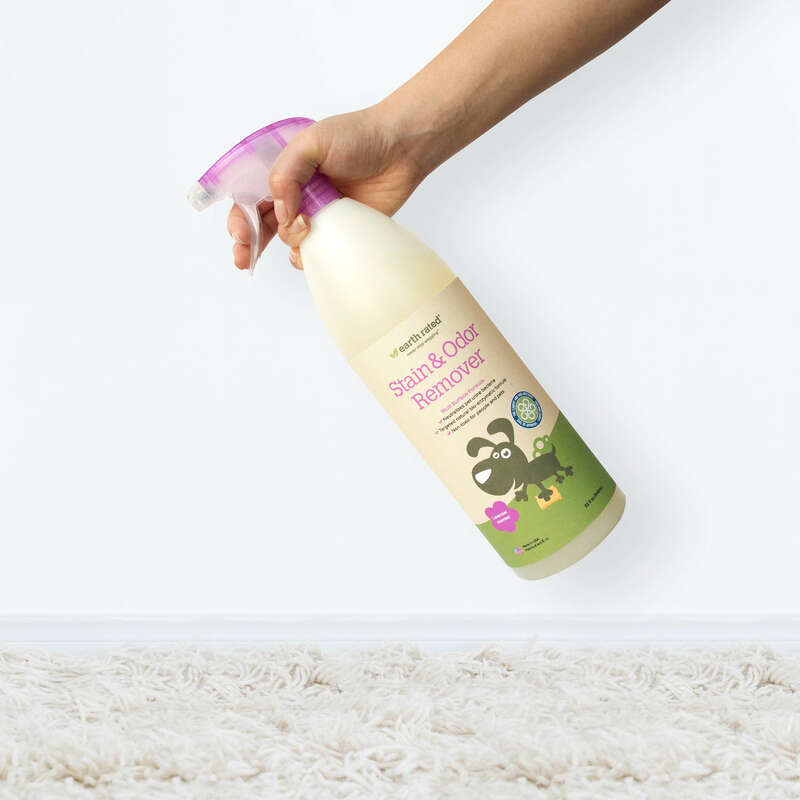 The bio-enzymatic formula is specially targeted for urine, feces, vomit and blood and naturally destroys urine bacteria and prevents repeat accidents. 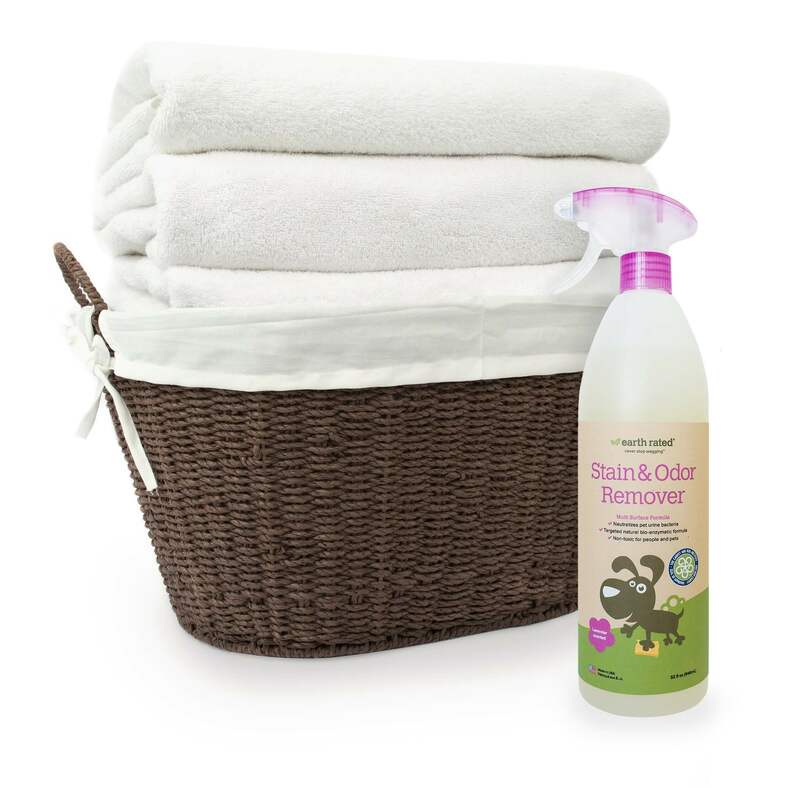 The bio-enzymatic formula works on a variety of surfaces and can even be used for laundry! Has a nice pleasant smell, but a little strong. 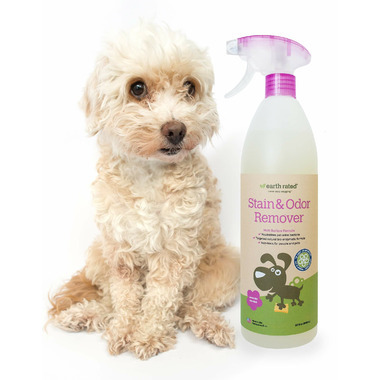 Works well cleaning up puppy pee! I used this for cat urine elimination, and it worked great! My cat has not returned to the spot that has been treated, nor does it smell since being treated. Only down side is the smell is quite strong.